HomeAnalysisE-commerce, the new driver of perishables demand? The rapidly changing e-commerce landscape holds much promise for the air cargo sector, but promise has not necessarily become reality. One view is that e-commerce is ramping up demand for perishables, observes Panalpina. Digital-savvy consumers used to purchasing fashion-wear, books and electronics online are now buying fresh fruit and vegetables online as well with major economies like China and the US this trend. In Spain, a leading exporter of perishables, online food sales of fruit and vegetables grew by 32.2 per cent and 27.7 per cent respectively in just one year, according to figures from the Spanish Ministry of Agriculture and Fisheries, Food and Environment. 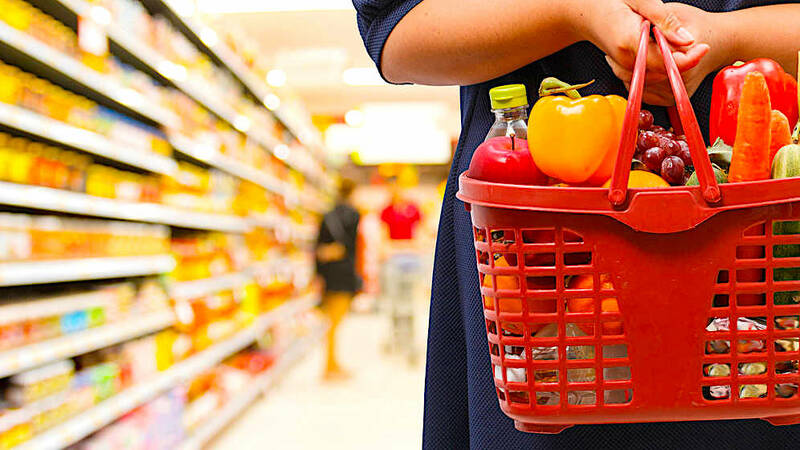 From the Spanish retailer El Corte Inglés to the French chain Carrefour, most agree that fresh products are eating up a larger share of the B2C e-commerce basket. Supermarket websites are shoppers’ preferred place for placing orders (77 per cent), followed to a lesser extent (34 per cent) by global shopping sites such as Amazon. But the outlook is mixed, notes Panalpina, citing the fact that Amazon’s grocery sales in 2018 registered strong growth in categories such as beverages and snacks, but struggled to gain consumer buy in fresh food and perishables. Despite Amazon’s success in other categories, perishables are not gaining much consumer traction, holding “an extremely small portion” of grocery sales says Panalpina citing Edge by Ascential statistics. Almost 96 per cent of US adults shop online, but only 46 per cent buy groceries online and just 27 per cent buy produce online. And in a somewhat perverse, about-face, even Amazon has shifted its pure-play online strategy to enlarge its physical footprint, with plans to add more stores across the US, as many consumers still prefer to buy fresh items in person rather than online. But as difficult as these opening moves are, opportunities abound in the B2B perishables sector. Platforms that sell perishable products online, such as Alibaba, Tmall Fresh and Mr. Fresh, aimed only at large importers and distributors and big brands based in China, are expanding their reach, opening to foreign fruit and vegetable exporters and pushing sales, Panalpina notes. The B2B model is pointing to “direct, immediate online circuits, open to operators from different geographical areas”, writes Agrifood analyst Miriam Rubio. Certainly the demand for Chilean cherries and North American lobster are testament to this burgeoning foreign perishables demand. The availability of warehouses for distribution and specialised fleets, as well as the ability to manage perishable products, provide optimum temperature-controlled transport conditions and package to preserve quality, will determine who wins, Panalpina observes. Enter disruption – digital transformation and the necessarily changing role of logistics providers mean a whole different marketplace. Gartner analysts predict that by 2020, 50 per cent of all manufacturing supply chains will have the ability to enable direct-to-consumer shipments. The lines will be blurred as both manufacturers and retailers take the direct route to consumers, says Panalpina citing the example of how Coca-Cola now ships out of its own warehouse to save costs associated with Amazon having to deal with logistics and shipping. Citing Rabobank World Produce Maps, Panalpina says the growing demand for perishables has led to a 20 per cent increase globally in fresh categories over the last decade. For retailers in North America for instance, perishables has grown from 20 to 40 per cent of total store sales over the last 10 years. Retailers have to move quickly on trends, while still having regular items in stock, the global forwarding giant observes. Supply chains and inventories have to become more robust to cope with highly fragmented and ever-changing seasonal factors. “Consumers in today’s digital world are increasingly diverse and demanding,” says Colin Wells, global head industry vertical Perishables at Panalpina. “They want quality, safe food, more fresh produce year-round and more visibility on where all that is coming from. The rapidly changing e-commerce landscape holds much promise for the air cargo sector but its promise has not necessarily become reality.